[toc]Women all over the world spend hundreds and thousands of dollars every year to attain a blemish-free, clear and glowing complexion. 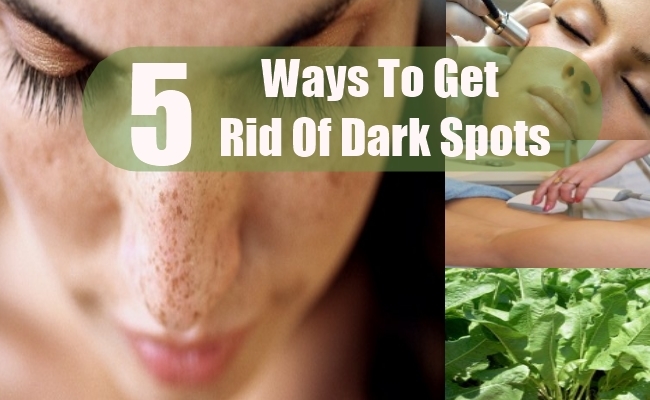 One of the most common skin problems that affects millions of people is that of dark spots. Dark spots are nothing but hyperpigmentation caused due to hormonal imbalance, over exposure to sun’s rays, acne and skin trauma. They generally appear around the cheeks, nose, upper arms and shoulders. Whatever may be the cause of dark spots, it is no doubt that it mars one’s complexion and makes one look older than he/she is. There are many methods to get rid of these pesky spots. Here we take a look at some of the treatment options that are available to get rid of dark spots on skin. 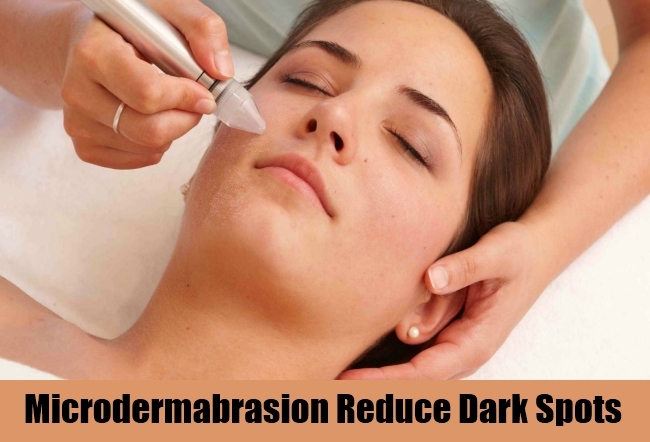 One of the best ways to get rid of dark spots is to undergo a couple of microdermabrasion sessions. In this procedure your skin is polished with tiny crystals that helps to remove dead skin cells and the top layer of skin. It is a relatively safe and painless process and within two to three sittings you will notice that the appearance of brown spots is greatly reduced. This procedure is not only effective in fading brown spots but it also reduces the appearance of enlarged pores and fine lines. 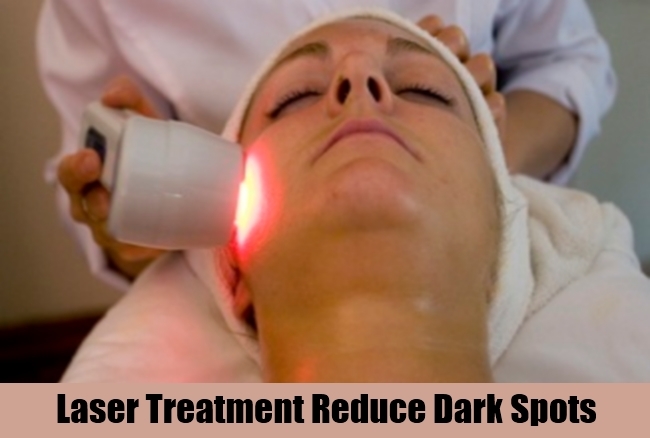 Another effective remedy to fade dark spots is to undergo laser treatment. To get laser therapy you need to consult a reputed dermatologist who will guide you through the procedure. In this procedure, an intense light beam is targeted at the brown spots, removing the top skin layer. Ideally, three to four sittings are enough to fade hyperpigmentation marks. There are many different types of chemical peels like AHA, glycolic acid and lactic acid that are used for fading dark spots and improving the texture of skin. These peels are highly effective although they can be a bit on the expensive side. In this process, a peel such as glycolic acid of specified strength is applied on the skin for a few minutes. A neutralizing agent is hereafter applied over the skin to remove the peel. 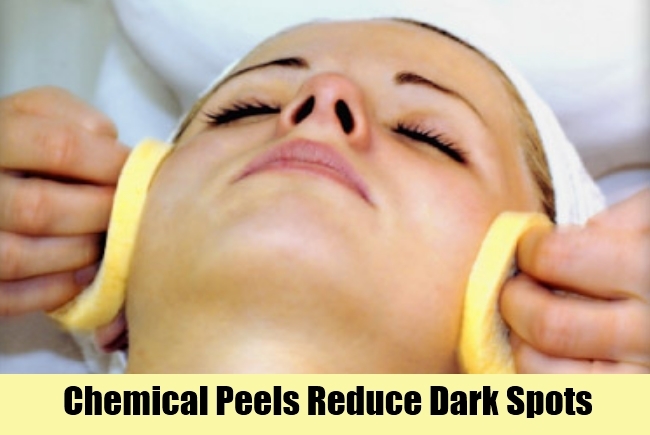 If you opt for chemical peels then it is very important that you get the procedure done by a trained dermatologist. If you are not keen on undergoing chemical treatments then you can try some home remedies too. Wash and peel a medium-sized horseradish and grind it to a coarse paste. Now puree a handful of fresh mustard leaves in a food processor. In a small bowl, combine two tablespoons of horseradish paste with a tablespoon of pureed mustard leaves. Combine well and apply it over the dark spots. Horseradish contains certain enzymes that help in lightening dark spots. 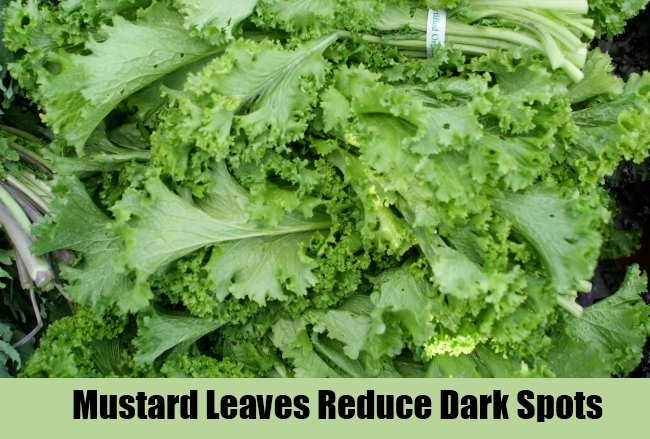 Mustard leaves are also quite beneficial in skin bleaching. Grate an onion and tomato and extract its juice. 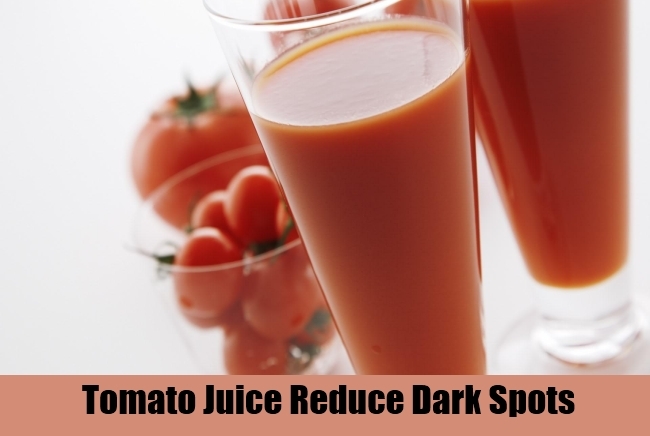 Combine equal quantities of onion juice with equal quantities of tomato juice. Dip a cotton ball in this mixture and apply this on the spots. Let it remain for an hour before washing it off with water. Doing this regularly will not only reduce dark spots but it will also tighten pores and make your skin more supple. These were some of the methods for getting rid of dark spots. Always wear a wide-spectrum sunscreen and try to stay out of the sun during peak hours to prevent dark spots from appearing on the skin.